Scrap Happens Here with Darla: Share What You Love - Sketch Challenge! Good Morning everyone! YAY! It's Friday...your weekend is almost here! Do you have any fun plans? Will you have any time to create? I have NO PLANS for the weekend! I do have to head down the mountain today, for Redding, to make a Costco run and do my taxes! My husband took the day off to go with me so we'll probably have a lunch date too! Today's card is one that I created for a team sketch challenge. Sketches are FUN...they get me thinking differently. I especially like this one because of the angles! Here's the sketch! Will you try it? There are so many options! 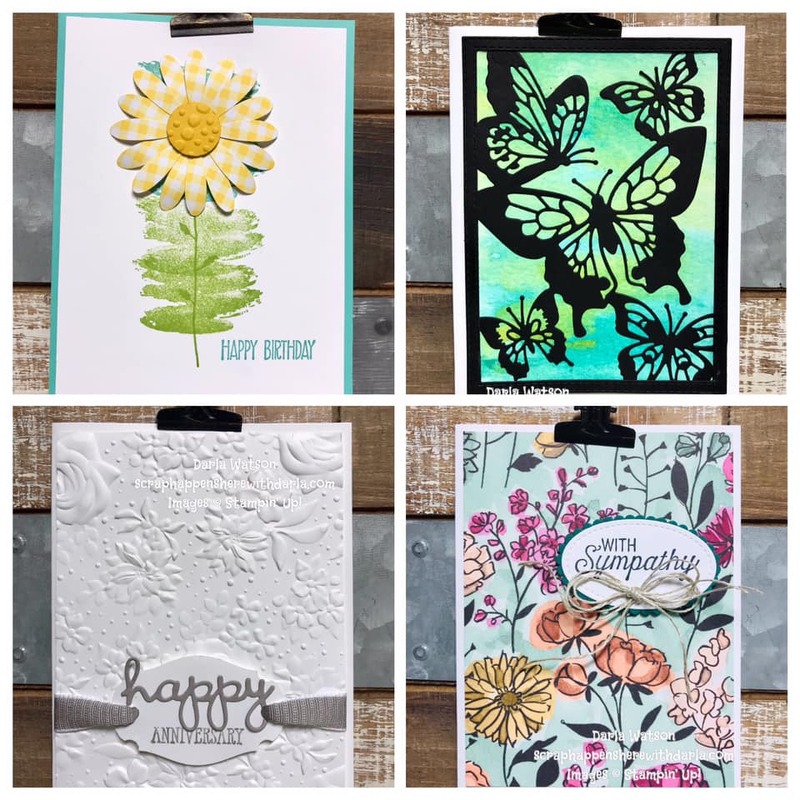 Do you use embossing folders or designer paper....or do you use only cardstock? 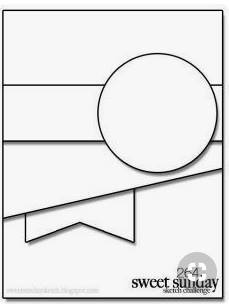 Do you change the circle to an oval or a square? That banner...do you want to make it from ribbon? Every single card in the challenge is different! One gal used a punched dog to replace the circle! Let me show you what I did!! My card base is a 5 1/2" X 8 1/2" piece of Whisper White cardstock with a 4 1/8" X 5 3/8" piece of Rich Razzleberry cardstock as the first layer. Next I added a 4" X 5 1/4" piece of Share What You Love Designer Paper. 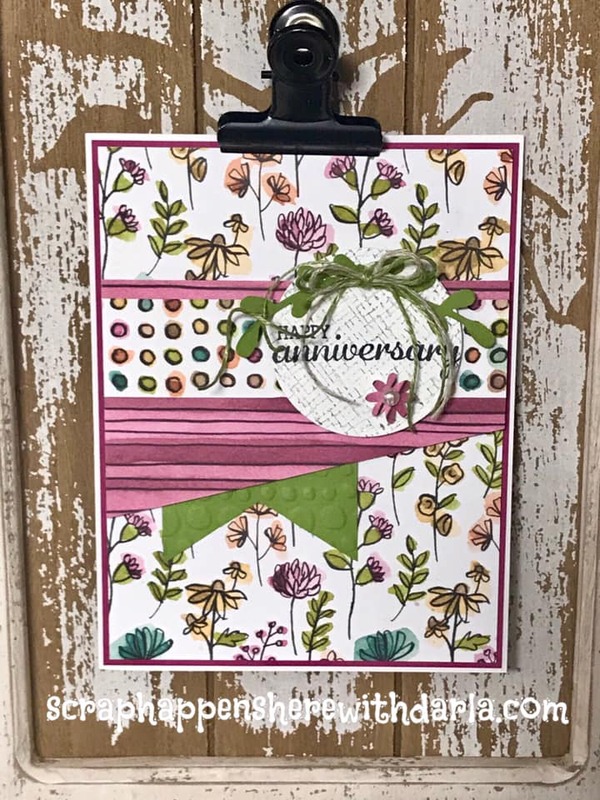 My banner is Old Olive cardstock embossed with the Dot to Dot embossing folder and cut into a banner with the Banner Triple Punch. The angled piece and band piece are also from the Share What You Love designer paper. I LOVE THIS PAPER!!! 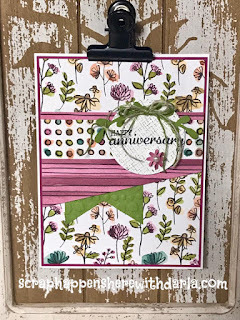 The sentiment is from the Best Bird stamp set and is stamped onto a Stitched Shapes Circle. I stamped the background image in Mint Macaron. 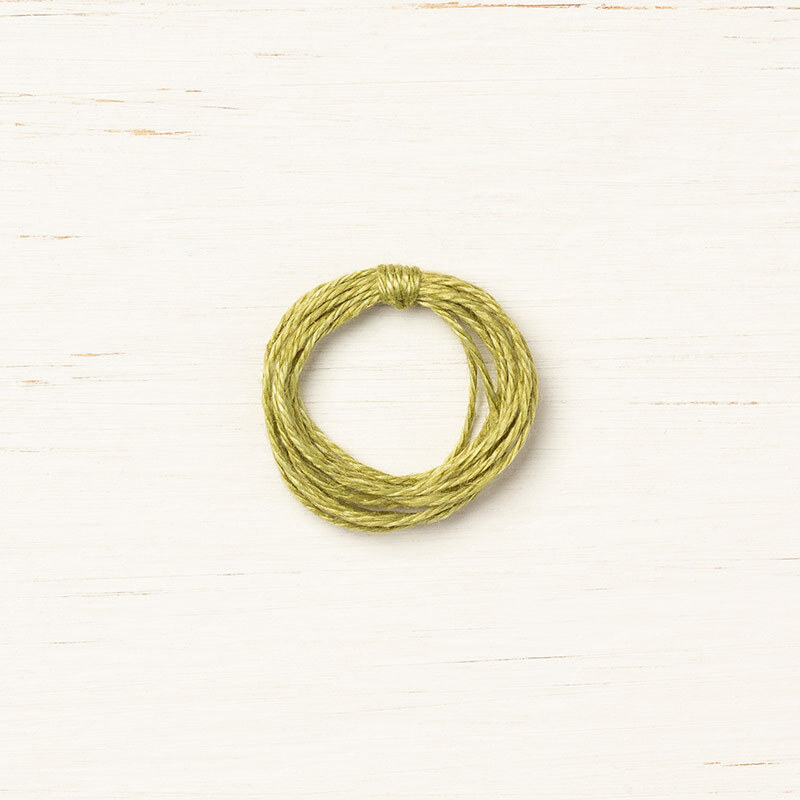 I punched the greenery with the Sprig Punch and cut it in half, added some Old Olive Linen Thread and Linen Thread tied together into a bow and attached with a glue dot. Last I added a flower punched with the Bitty Blooms punch pack (from the same designer paper) and added a pearl as it's center. Everything except the two layers and the banner are attached with dimensionals! I LOVE how it turned out! I have a friend whose anniversary is TODAY...YIKES...I'm gonna be late, but I'm gonna send it to her and her husband! HEY...THANKS BUNCHES for stopping by today and allowing me to SHARE WHAT I LOVE to do with YOU! Have a wonderful day and terrific weekend! Hope you (and I) find time to create!